Daniel Lee Mull obituary. Carnes Funeral Home. 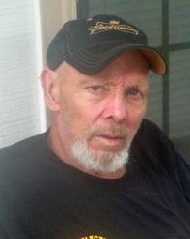 Daniel Lee Mull Sr., age 60, of Texas City, Texas passed away June 14th, 2014. He is preceded in death by his parents, Seals and Marceline Mull; son, Daniel Wayne; brothers, Ozell "OB" Taylor and Carl Ray Mull and sister, Carolyn Trimble. He is survived by his children Kay Dawn (Doug) Calhoun, Michelle "Missy" Rainbolt, Daniel (Lisha) Mull Jr., Candace (Eddie) Williams, Justin (Yolanda) Mull, Timothy Mull, and Jesse Mull; brothers, Audie (Linda) Mull, Rodney "Rocky" Mull, and Gary (Phylis) Mull Sr.; sisters, Linda Kay Ceres, Sharon Mull and Renee (Jaime) Hernandez. Daniel also leaves behind sixteen grandchildren, Heather, Amanda, JD, Robert, Becky, Philip, Brittany, Kaitlyn, Kia, Brantley, Taylor, Tarrah, Reiley, Aaliyah, Mallory, Isaiah and four great-grandchildren, Faith, Rylee, Courtney, and Lindsey and many more loved ones. The family would like to send a very special "thank you" to Amanda Hassell, Yolanda Lewis, Jennifer Camfield, and the AMED Hospice team for their outstanding care for Danny in his final years. Visitation will be held Thursday, June 19, 2014 at 5pm with Memorial Services beginning at 6pm at Carnes Funeral Home-Texas City.